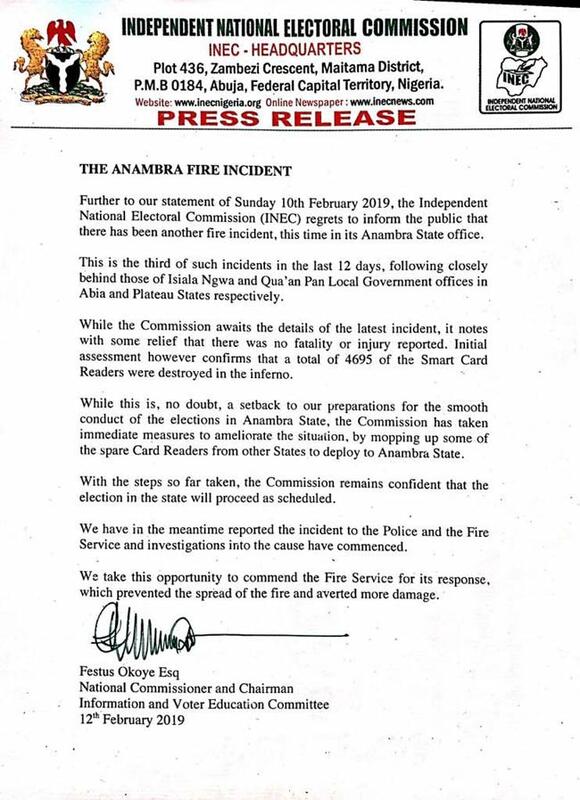 INEC has said that from the initial assessment of today’s fire incident in Anambra, a total of 4695 smart card readers were destroyed. 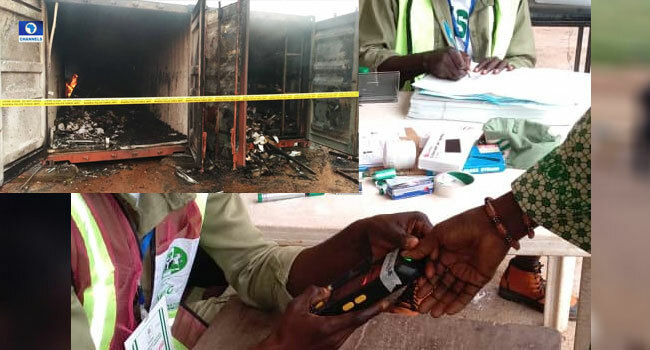 Spokesman for the commission, Festus Okoye who disclosed the information, assured that immediate measures to ameliorate the situation including the mopping up of some spare card readers from other states are already in progress. He added that with the steps taken so far, the commission remains confident that elections in the state will proceed as scheduled. Below is a full statement by the electoral umpire.